KiddyCharts are lucky enough to have their home in a wonderful part of the country; North Essex, with its quant villages, and pargeting. It’s greens, and duck ponds. 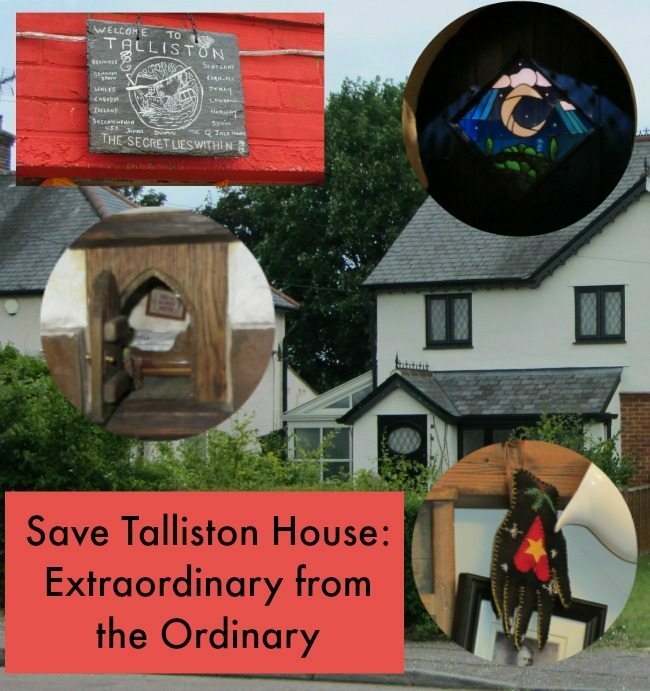 We have lived here for nearly ten years, and I didn’t realise that 25 minutes away from my home in Saffron Walden, one man was on a mission to create another world inside an ordinary ex-council house in Great Dunmow; Talliston House. 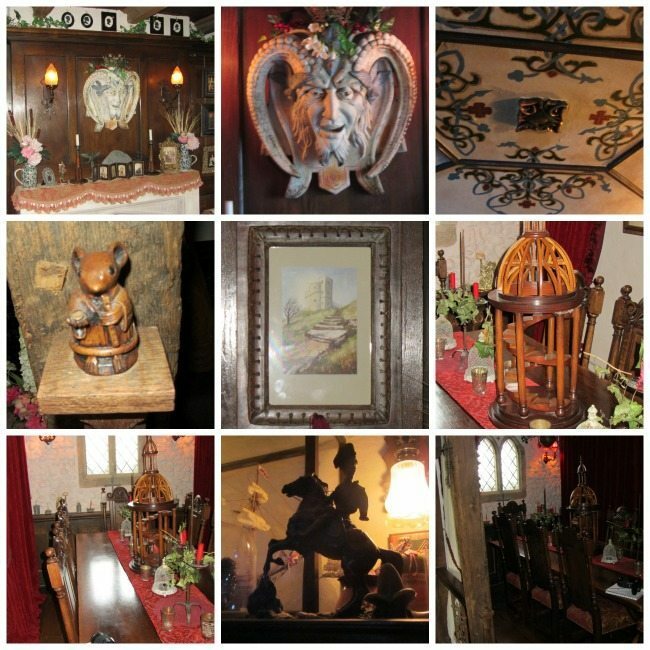 For almost 25 years, John Trevillian has been telling the story of his house; creating a different tale with it’s wonderful decorations, and expertly sourced artifacts in every room you enter, causing a wealth of emotions. Sometimes blogging brings you to special places, where you experience something that even words struggle to explain properly. 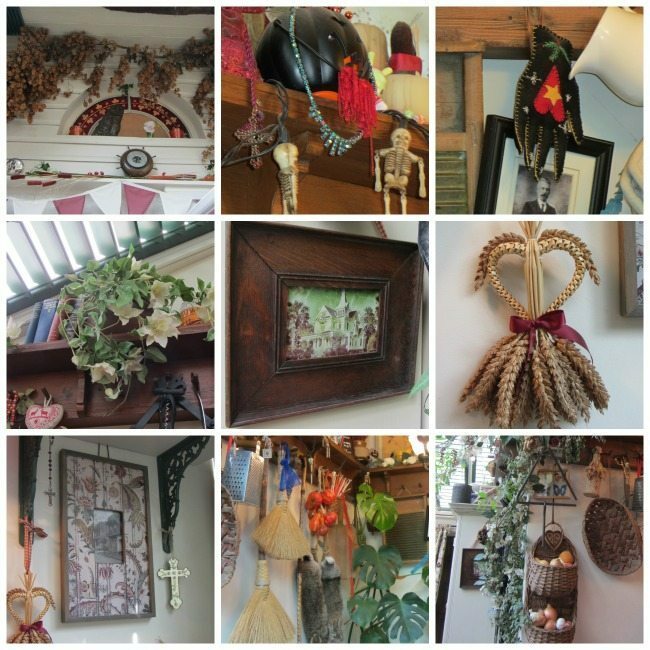 John bought this house in 1990, and from the first moment he walked through the threshold at midday on the 6th October, he has been creating and weaving a tale throughout the house. Sadly, as the 25-year project nears its conclusion, Talliston House is running out of money. One may ask why we are writing this, and appealing for help with another man’s vision. However, the house is utterly unique. It is the kind of place that you truly do have to see to understand; every item within it, every room has an intricate story woven around it and their specific occupants. That story has taken nearly 25 years, 1,650 antiques and trips to 27 countries to create. You can almost “feel” the house’s personality as you walk through the rooms which from humble beginnings have been transformed into something extraordinary. Each room has an occupant, and a location to shape its story and provide the all important chapters for Talliston House’s story….. This garden is the only outside clue to what lies within – the Labyrinth is occupied by Tobias Crowe, the gardener from The Old Rectory, which the space is modeled upon. There are wonderful little details even in this small space, from the metal bees in the paths, to represent industriousness, to the wonderful rabbit hole that is hidden beneath a flowerbed. The first room you come across within the house has a medieval feel to it, but is welcoming nonetheless. The Watchtower is modelled on Mead Hall of Twr-â-Gân, and the occupant is the Castle’s housekeeper, Rose Meirion. The room itself is littered with beautiful touches, from the Duomo on the table, to the secret room hidden beneath the display cabinet. Any room that can cause bloggers to scrabble around on the floor to discover what is beneath has come up trumps – and is it any wonder given the wee house you are rewarded with after going on your hands and knees under the display cabinet in one corner of The Watchtower? Walking from The Watchtower into the kitchen is an amazing experience and there was an audible “Wow” from almost every visitor on our tour with John…. The contrast of this light room to the dark medieval feel of the Watchtower is palpable. The Voodoo Kitchen is based on a 1954 kitchen in New Orleans, and voodoo artifacts hang from the walls, and 1950s postcards and magazines adorn the surfaces and walls. 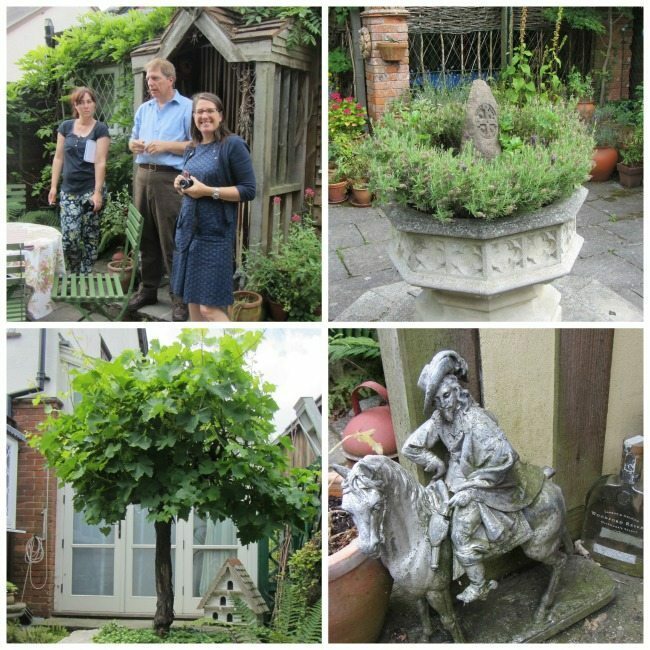 Marcus, who very kindly made us cream teas for our visit in here, seemed very at home despite the magic in the air…. From the kitchen, you can walk out into the courtyard, which transports you to Samhraidh Cottage in the Boyne Valley. This cottage was thought to be the house of a witch…and some of the details I spotted around the gardens were certainly in keeping with this tale. However, they were nothing when compared to what we would find upstairs…. 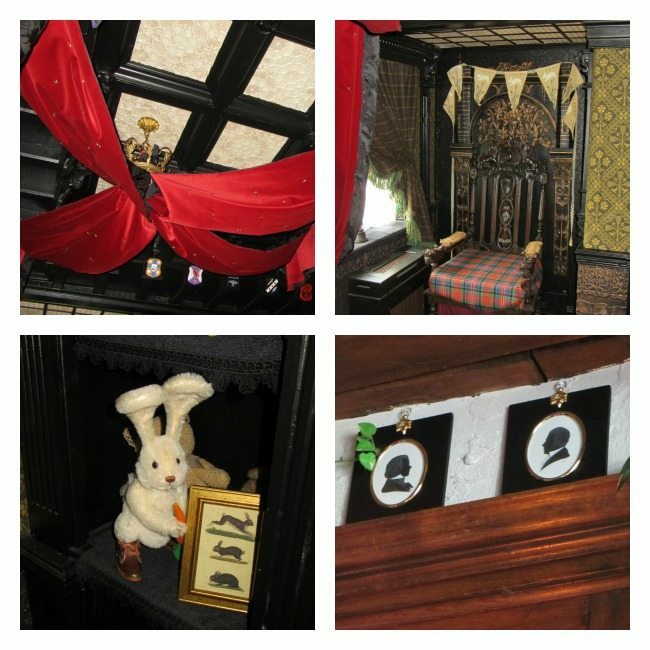 Talliston House is a room of contrasts, and the Haunted Bedroom and the other main bedroom provide the starkest of these. It didn’t surprise me to learn from John that younger children visiting the house were afraid to come into this room; it has a eerie feel with an ouija board and empty shoes occupying one corner of the room. Talliston House is raising funds by allowing you to have your own crest designed and adorned on the walls within this bedroom – there are already a number of crests present, but still some to be bought. 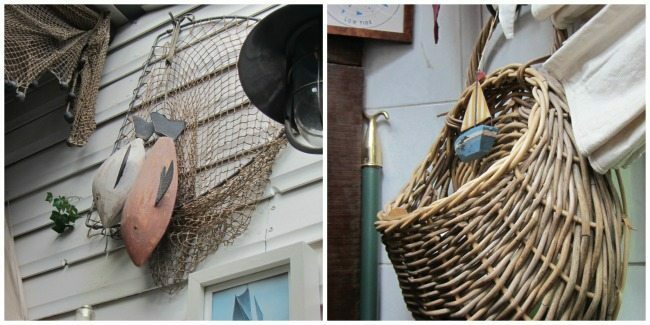 The room itself is based upon a child’s room, Jack Macpherson in Stonehaven in Scotland. The boy died young and the room was believed to be haunted by his spirit, with his parents sealing it with holy symbols and vowing never to set foot in it again. This was my favourite room in the house, and the exact opposite of the haunted bedroom; welcoming, colourful and joyous. The splendour of The Office within Talliston surprised me; it is a very relaxing room, and one that you could imagine the occupant, Jacques-Michel D’Olore, has no problems getting inspiration for his work within. I know I could have sat at its desk for hours on end very easily. The final room in the house was a little difficult to get to – up a ladder, and therefore, I don’t have any personal photographs of The Treehouse Sanctuary as I wasn’t too sure about the final leap up to the room; meaning I couldn’t take any photos annoyingly. Overall, it would be unthinkable to have such a wonderful house lost to us due to the need for a little bit more funding. So why not visit the Talliston House fundraising page, and see what you can do. Better still, if you are relatively local – visit the house for yourself and see how you feel walking through that doorway to the secret place that lies within. You life will be all the more richer for having done so; mine is, without a doubt. From the outside, the house is deceptive; inside John has woven a beautiful, inspirational tale that shouldn’t be lost; Talliston House should be allowed to continue to tale its stories for generations to come. That looks amazing – absolutely amazing! That bed from the dream room! Oh i so wish i was in it right now! Beautiful photos and what a great project! I remember when Michelle visited this the first time. It sounds a weird and wonderful place and your post, with all the brilliant photos, brings it to life.